The concept of network segmentation has been around for a while and is considered a best practice to achieve ‘defense in depth’ for business critical applications. Proper segmentation can protect applications from hackers as well as limit the ‘blast radius’ in the case of a breach. But how can this be done in the dynamic ‘microservices ‘environment of clouds and containers? 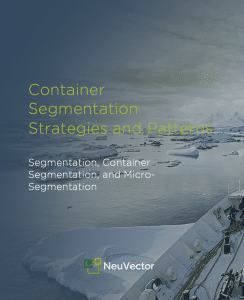 Apply micro-segmentation strategies to gain the full business benefits of containers and help with regulatory compliance such as PCI. This guide will help devops and security teams understand how traditional concepts of network segmentation can be applied to protect containers in a microservices environment.